Harold Hayes passed away on Sunday in Medford, Oregon, at the age of 94. Hayes was the last remaining survivor of a group of American medics and nurses whose plane crashed behind enemy lines in Albania during World War II. He died following surgery to remove a blood clot in his leg. The ordeal of Hayes and his fellow nurses and medics was kept secret for 40 years. This was done to protect the citizens of Albania who offered assistance to the 13 female nurses, 13 male medics and the four-man crew of the plane. The group hid in villages and caves, and dealt with lice, dysentery, starvation and German patrols. During the war, those who were found helping the Allies were shot. After the war, Enver Hoxha, the communist dictator of Albania would execute anyone suspected of helping. Hayes was the last voice of the group and told his story in interviews. Two months after Italy surrendered, the Allies used Italy to stage their invasion of Europe. Hayes was 21 at the time. Their plane flew into a huge ice storm an hour into their flight. This left them without a compass or means of communications. Off course, the plane was picked up by German fighters and then shot down by anti-aircraft fire. After crashing the group met a group of locals who told them that they were in Albania, behind enemy lines and in the middle of a civil war between two rival groups. The Americans started out walking the wrong direction but got help from local citizens. They forded streams, crossed mountains, hiked through the brutal winter weather, and got fleas and lice from the blankets given to them by the locals. They got diarrhea and then ate berries that made the diarrhea worse. They walked through a blizzard without proper clothing. In December, the Americans developed a rescue plan was developed to get the group out of Albania. A small group of soldiers slipped into Albania, unnoticed and moved in to find the group of medics and nurses. The British, meanwhile, were enacting a second plan of their own. They found the Americans first and began working their way toward the coast. Halfway there, though, the way was blocked by the Germans, and the Americans were too sick to continue. He radioed for assistance, and the US sent two cargo planes to pick up the group. 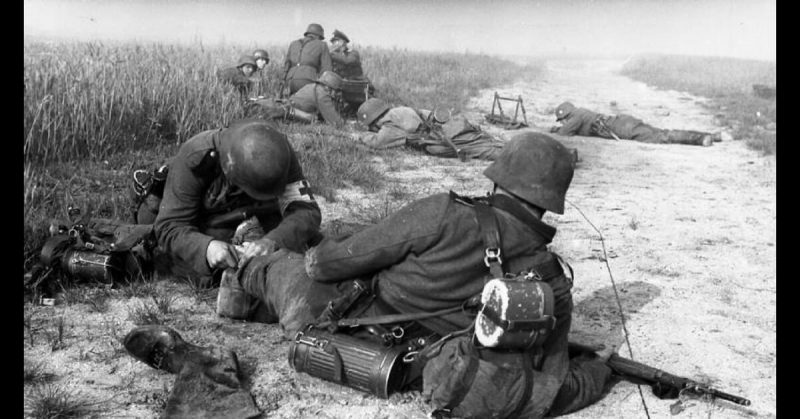 The Germans kept them from landing, though, so the group started heading toward the coast again. After 63 days, ten nurses and 17 medics and airmen got on a British boat headed toward Italy, The New York Times reported. Three nurses stayed behind in Berat. They were rescued in March 1944.